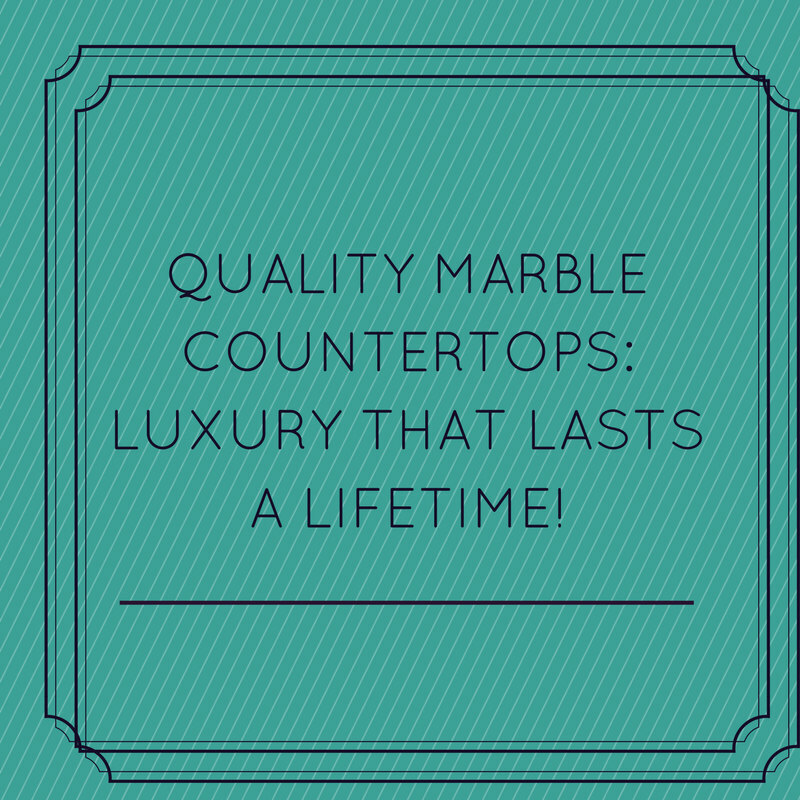 Quality Marble Countertops: Luxury That Lasts a Lifetime! What is marble? It’s a metamorphic rock that contains crystallized limestone. It has a luxurious surface that lends sophistication and warmth to spaces. Marble is rich with color variations and crystals and is available in a range of shades, including pink, green, black, cream and white. Edges, Overhangs and Thickness: Thickness varies from ¾ inch to 1¼ inches. The standard overhang is 1 inch to 1¼ inches. Edge options vary, but the most popular is straight. Types of Marble: Carrera is a blue-gray or white marble with soft veining that gives it a feel of old world charm. Calcutta/Calacatta is white marble with more distinctive grayish-brown veining. Tiles or Slabs: Quality marble countertops can come as tiles or slabs. Slabs offer a seamless and solid look. If you want your countertops to be arched or curved, a seam will be needed. If you like the look of marble but find it too pricey, consider tiles. Maintenance and Care: A little prevention goes a long way when it comes to keeping quality marble countertops looking like new. Set coasters under glasses, place trivets under hot pots and pans, wipe up any spills immediately, and use cutting boards when slicing food. Marble is vulnerable to etching, so be particularly careful with acids. Don’t use vinegar to wipe the counters down, and be attentive when pouring orange juice. Luxurious marble will last a lifetime. It might not be the most durable choice, but the cool and smooth surface makes it perfect for countertops. For quality marble countertops in Columbus OH, contact us at The Granite Guy. We have the best prices in town, and our selection has over 80 different colors for you to choose from. Request a free estimate today! Marble is an excellent choice for kitchen countertops. They can most definitely bring an elegant natural look to your kitchen. It’s also important to keep a few things in mind. Marble counters will scratch over time. You must take very good care of them, but even then, regular ware and tear can cause the tops to scratch, and even stain if your not careful enough to clean up spills quickly! Sometimes Marble can come at a more affordable price than Granite or even Quartz. If you use your kitchen a lot for family gatherings, have kids, parties, or if you just love to cook and spend several hours a day in the kitchen, you may want to consider a more consistent solid and durable material such as Quartz (engineered stone). Cambria for example has beautiful colors that look very much like natural stone. Just something to explore and consider. Thank you guys for these articles, I enjoy them. We’re thinking of getting a new countertop for our kitchen, and had originally thought of getting granite. But now I’m wondering if we should go with marble instead. What are the main differences we should take into account. A little info – Our kitchen will be fairly lightly used, as we’re a couple without children. We’re also pretty careful, so will take good care the countertop. Not sure if this makes a difference or not, as one may be stronger than the other. Marble is beautiful an elegant, it definitely adds character to any room. It’s very durable and can withstand heat very well. It also isn’t as expensive as some may think, you definitely can get affordable marble. Good post! 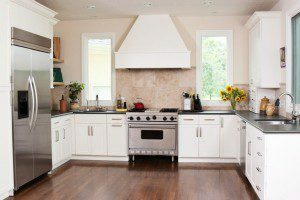 quality countertops are a good choice as they are costly. So choose the accurate one. Nice post! Great advice for choosing marble around your house. 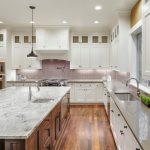 There are so many options that it can get overwhelming but these tips should help for sure.Marble countertops are the good alternative for enhancing beauty of the modern kitchen.